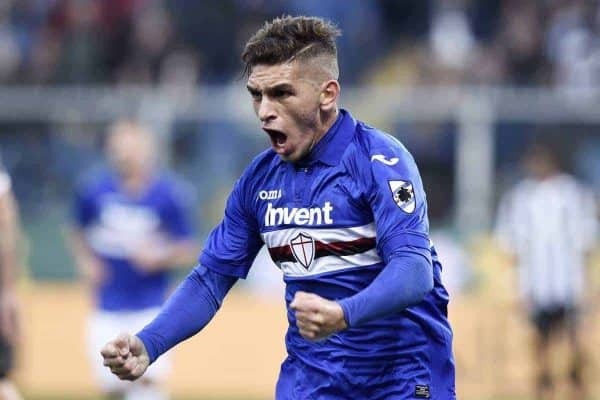 With both the BBC and the Guardian stating that we are in advanced negotiations for Lucas Torreira, it looks like the Arsenal puzzle is starting to fall into place. Sokratis’ arrival seems now a formality, and Lichtsteiner has already joined Arsenal. So if all goes to plan Arsenal will have added a CB, rFB and a DM/Central midfielder; and that means that most gaps identified by the majority of the fans at the end of the season will have been filled. A new GK is apparently Arsenal’s next target. Looking at Torreira’s videos on line, he reminds me of Santi Carzola. Lucas may not be as two footed as the sadly now departed ex-Gunner, but in terms of stature, determination, football skills and style of football, there are some strong similarities. It looks like Torreira plays naturally deep but also likes to go forward. He is strong at dispossessing opponents without being a classic DM tackler; and with his low centre of gravity he is hard to dispossess of the ball. The Uruguayan likes to dribble forward, can spot and execute a through-ball really well and has a decent shot from just outside the box. The current Fiorentina player is only 22 but already played 71 league games in the last two seasons – with four goals and one assist in 36 league games, and 1 key pass per game on average, in 2017-18. So a new and fit Cazorla with an extra strong ability to dispossess opponents of the ball in midfield – with 2.8 tackles per game he is sixth best tackler in Serie A (and 2 interceptions per game is not bad either for a 22 year old) – may just be what the doctor ordered. I reckon he will be competing with Elneny and Maitland-Niles for the position next to Xhaka in deeper midfield. He could also start instead of Xhaka in some games, of course. Of course we will have to see how the likes of Lichtsteiner, Torreira and Sokratis will do in the PL, but I like the way we are going for proven and talented players who will bring a bit of grid and solidity to the team. Less than two months to go till the start of the new season. Get those players signed up and… Bring It On! Torreira? PL attackers are going to just hate him. I know the video I saw was a compendium– and not that he dispossessed every attacker he challenged. But seems to have a talent for getting to the ball– following a touch– before the attacker. Angling into possession by moving between the attacker and the ball with precision and quickness. Didn’t see a lot of fouling. Quite strong for his size. Got a good chunk of bastid in ‘im too. IMHO? Possibly the best signing we make this Summer– in terms of reshaping the personality of the club. Nice to see we are still in the business of pursuing a target and seeing it through. When I first read that we were in for Torreira, my initial take from his clips was he is small but very speedy and tenacious; so, why not? With the deal reportedly done, it’s going to be a sea change in the profile of players we’ve been known to go for. We need players with a nasty streak or, at least an edge to their game. This boy looks the part. Now, all he has to do is fit in to the way the team wants to play in the coming season. He doesn’t look a Cazorla-esque to me. Too defensive and tigerish, where Cazorla is about skill and quick thinking, with a bit of defensive nous in midfield (based on good skills). Welcome to North London then, Lucas. You know Total, that’s exactly what I thought when I first saw him in one of those compilation videos of his best moments, Santiago Cazorla, but with a crisp tackle and a wicked shot to boot. In fact I did read that when he first came to Europe from Uruguay, that he actually was a striker and was converted into a combative midfielder by his first Italian club. He looks a more tigerish less exquisite-on-the-ball Santi. That makes him a well rounded player fit for many roles. But the centre of the team’s engine as a B2B would suits him the best. He will add that missing extra vital energy to our play. I see him more as a threat to Rambo/Jack than to Xhaka. It’ll be an underuse of his boundless energy to keep him as a holding mid when we would be dominating possession most of the time. To me, this is our first move to improve the 1st eleven. The others so far have been to give greater stability to the squad. Sensible plan. Next destination … keeper. How can anyone not think of Cazorla when you watch those videos???! His movement, use of his body, industriousness, protecting of the ball, dribbling skills, passing ability, throughball and over-the-top balls, all are reminiscent of the Puffin man. Even the way he dispossesses other players looks like Santi, but Lucas just does it better (has a more telescopic leg). Having said that, I think Torreira is indeed more defensive minded – and yes Kev I read too he started off as a striker which is very intriguing! – and will sit back more. Yet he has the ability to burst forward and aid the attack. This is just what we need: somebody who sits on a line with Xhaka and helps protect the back four and yet can aid the attack with his passing and dribbling abilities. And tackling will be back at Arsenal’s midfield which is also welcome. Total, I guess if he was a striker that he’ll also still retain elements of his past attacking game and therefore might be another positive option in terms of goal scoring? As far as whether he is box to box or def/mid, I think he can be both, depending on the circumstances of any given game. Also the fact that he’s Uruguayan, a country that seems to develop tactically aware players and has spent a few years in Italy where tactics are a serious aspect of the game, I reckon we’ll be signing someone who should be switched on and a good influence on Xhaka. I have only seen a few u tube highlights, but he looks to me the type of player that the fans have been crying out for for years. 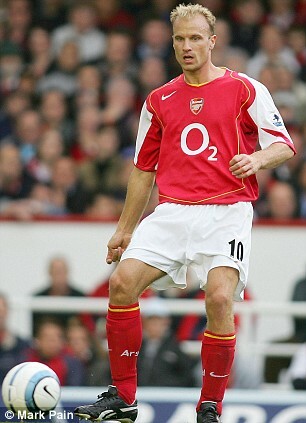 A bit of Vieira a bit of Santi and undoubtably a lot of passion and aggression. If he is half as good as he looks, it could be a good season ahead. Maybe even captain material a little further down the line. I don’t look at BBC reporting runours anymore. Apparently few days ago we were opgling about Yacine Adli and what happened to him now? We better talk about the signings when they are reported officially. Congrats to the American, Canadian and Mexican Gooners. The world cup is coming your way in 2026. Oogling about Yacine. Sorry about the typo error. Kev, yeah cannot wait to see the Xhaka-Torreira axis! When I first watched Torreira, I saw a lot of things that arsenal need in him, very fast, tenacious, very good on the ball, keeps possession when needed, very good tackler and a very serious minded player. But there is something I don’t like about him, which is his size. I always believe that size really matter especially in defensive positions, So I said to myself, a taller Torreira would have been super perfect. But to be honest, even with his small size, he will certainly improve our midfield. I don’t see him as a Carzola type of player, I see him as a Verratti type of player, with a lot more tenacity, bit, seriousness and lots of tackle. Apart from central defenders, next position that I really want us to fill is the wing. Bringing in Dembele on loan will be a very good idea. Signing of one these wingers like Zaha, Leon Bailey, Julian Draxler, Gelson Martins etc will surely make us stronger. Don’t doubt Verratti’s talent– he is that. But goes to ground just hearing a loud noise. Torreira seems much tougher physically. Has a gyroscopic ability to stay on his feet to continue through contact– not unlike Messi (comparable in that facet, not on that level). Got patterns in my tea leaves again. Are two supposed Arsenal offers: £30M (installments), and £30M (lump sum). Which of course brought forth from several quarters jokingly– of offering £30M+£1. All things considered? I’d go with a £25M offer next. Raul’s holds the hammer right now. He needs to go get Gelson. Where’s Iwobi in that team sheet? Yaay for Torreira. I was, and still am torn between having a Torreira type or a Nzonzi type of beast in the midfield, but I think this is a great signing considering the cost and the age. Torreira, Xhaka, Ramsey, AMN, Elneny gives us good options for rotation and switching up to deal with different opponents and match situation. Would have loved to have added Adli to that for further options, but the likes of Willock can look forward to some game time I guess. Maybe even a tiny chance for Zelalem? But the way I see it we have two deep lying playmakers (though with differing characteristics) two shuttlers (not meant to be disparaging) in AMN and Elneny, and hopefully Aaron Ramsey. The midfield danger man. Miki and Iwobi could play that role too. I think it means we’ll play 3 out of the 4 of Ozil, Miki, Laca and Auba as the guys up front. With 2 being more like inside forwards than wingers. FBs providing width. Perez and Welbeck as backups there. Not sure if Nelson will be staying. Hasn’t signed a contract yet. If we add a winger like Martins, then I think one of Perez or Welbeck will have to go. There is also Eddie Nketiah who should get some game time up front, so Welbeck might go anyway. All in all, I’m liking how the squad is (seemingly) shaping up. TA, I guess I’ll have to see the man in a game then, to see the Cazorla similarities, apart from those I noted (size, quick turns, right place…); still think he cannot match Santi for skill, 6th sense, ball retention, range of passing, eye for goal, a good shot with both feet and ability to receive and use the ball under intense pressure. Someone said how small he is. He does make Modric look like a giant, though. That could be an advantage, as he looks like he covers a lot of ground easily, pretty much like N’golo Kante does (that’s who he resembles, to me). Kev, it’s okay to be careful and wait till it is announced, seeing as a few outlets say it isn’t a Done Deal; but I feel this may have to do with the timing of any announcement as Uruguay start their World Cup on Friday. No need being accused of distracting players. “Congrats to the American, Canadian and Mexican Gooners. The world cup is coming your way in 2026.”. – JK. Yeah, going to be a good one for the North American allies. Unless Trump does lasting damage in his mission to destroy old alliances with trade tariff wars and “intercontinental” insults/barbed comments, before he leaves the scene. Expect a long drawn out debates on who bears what cost and how the US won’t pay more than it’s co-hosts, etc. Anyone else think Spain now go on to win it, just to show the sacking of the manager on the eve of the tournament won’t deter them? Adversity quotient and all that…. Why won’t Madrid (and the coach) inform the Spanish FA about wanting to hire their employee, not to speak of making an announcement when the team is preparing for a big tournament with Real Madrid players in the side (who’s to say the manager won’t protect his Madrid players or favour them in playing time; like having a pseudo pre-season in Russia?)? Arrogance!! Naturally, I’ll be pulling for Mexico, my “home” team… And there’s some Arsenal interest there as well, in the form of (one) Carlos Vela..
Yikes.. No time to think of and compose a post 17.. World Cup starts in less than 24 hours! When I first heard about Torreira a week or two ago, he was the the player that excited me the most, from reading reports and watching vids. I think the building of a squad is exactly as should be after Arsene. Emphasis on defenders, ball winners, workers, to go along with the attacking talent Wenger left in place. My observation about Torreira, is that he gives us one player, to do similar work of 2, that did a great job when they were paired for us. Coquelin and Santi (speaking now of latter day cm Santi who really re-made his game for the team). That’s just another reason he’s beloved. I think he can ACTUALLY make Xhaka and Ramsey much better players. I know we always hope that’s going to be the case, but I can see how. Takes some defensive pressure of Granit, who is already got a excellent passing game, but can hopefully stay a little deeper now with Torreira buzzing around in midfield. On your roster, depth chart, I agree 100% .. first time ever, very rare indeed. I love that included Perez and not Iwobi or Welbeck… can’t you just admit that I’ve brought you around to my way of thinking. Don’t be obstinate. 17, can you leave the politics out of this place? You mention jokingly, decapitation, which is happening in frightening numbers in two places around the world. In Mexico, by narco gangs who have murdered 120 politicians since last summer, and much, much worse…..
and also places under ISLAMIST control. You can find the videos of the latter online, because they’re quite proud and love to make videos and spread them around, like the stonings. But you’re worked up because of Trump. I don’t think we need politics here, not even in the jokes. Talking about the world cup, I am bothered by the way Germans ostracise Ozil. I believe that he will play better under Emery, but in the world cup he will not play well due to the noises from the fans. We do not need to tell Ozil where his loyalty with which country is. He chose to play for Germany and of course people have their own choice, so can everyone stop ostracising him? My top 16 in the team sheet is based on first team player per position and a second one if competition is evenly matched. The wider squad would certainly contain Iwobi and he will be pushing for first team play again next season (competition for Rambo and Ozil). Welbeck is a good wider squad player too but I feel he will leave to a West Ham or Leicester this summer. Torreira looks like a hardworking player who really works to get the ball. But our refs may not be so lenient for some of his tackles, and he needs a bit of time to get used to the English game. However, it seems to be a good signing for us, and I will be glad if the club announces him after the world cup. Oh shoot.. Citeh at home in the first game of the new season and away to chavs in the second game. Even the computers are coded to give us hell?